Vancouver Island and the Gulf Islands face the magnificent Pacific Ocean in all its rugged, yet calming beauty. 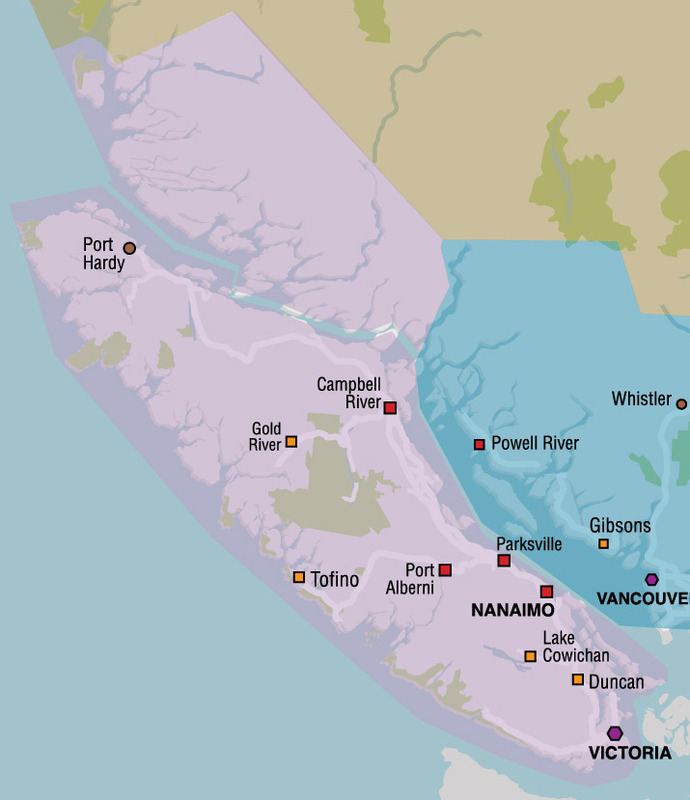 The eastern shore lies on the Salish Sea with its idyllic warm temperatures. To the south is the Juan de Fuca Straight. People come here to get away from it all – to get on to Island Time! Vancouver Island and the Gulf Islands offers an abundance of outdoor recreation including golfing, salt and freshwater fishing, boating, sailing, kayaking, whale watching, wildlife viewing, caving, hiking, scuba diving, skiing and the list doesn’t stop there. Whether you’re yearning for the solitude of a surf-swept beach or the charm of a rural village, the silence of the forest or the hustle and bustle of the provincial capital Victoria, you’ll find it all and much more on Vancouver Island and the Gulf Islands. Travel to Vancouver Island is most frequently by ferries or personal pleasure boat, although flights can be taken into several land and sea airports. Taking the 90-minute BC Ferry trip from Tsawwassen, on the British Columbia Mainland, to Swartz Bay (Sidney) on Vancouver Island showcases the stunning Gulf Islands as the ferry navigates its way through the islands and with the possibility of seeing a whale or two.